Duffy shot this image on location in Florence, Italy for Vogue in July 1961. 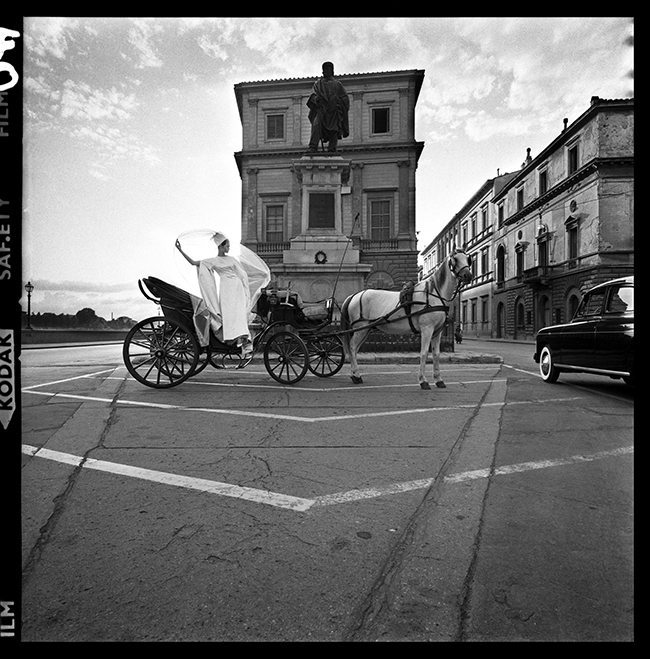 The wedding carriage is parked in front of the Monument to Garibaldi located on Lungarno Vespucci. The elegant location is overlooked by the Villa Favard on the Lungarno and the Palazzo Calcagnini. Marie Lise Gres is the model. Quote ref: E_607_15 if you require press information regarding this image.